Carrots and parsnips… that’s about all you need to make Sarah Poten’s simple and delectable side dish of Roasted Carrots and Parsnips this Thanksgiving. Be sure to review the fun nutritional facts Sarah, Education and Special Projects Coordinator, Greenmarket (CENYC), has included with this recipe after the jump! Cutting board, knife, large bowl, vegetable peeler, medium baking pan. Inhabitots note: If you think your little one is too young to help in the kitchen, you can have him/her prepare their own imaginary meal with a wooden play set. Plan Toys’ Fruit & Vegetable Play Set (2Y+) is a favorite with green parents, and promotes development of fine motor skills. 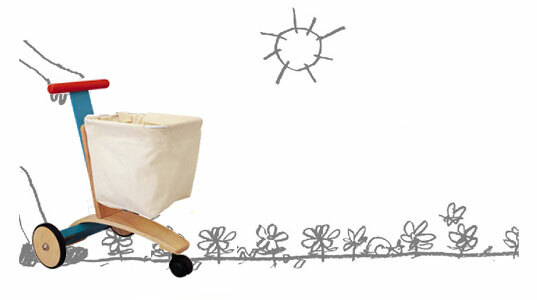 Plan Toys also offers a new set of baking utensils, cooking-related activity centers, even a toddler-sized shopping cart your little helper can push along beside you at the farmers market (pictured: $24.99-$200 available at Oompa). 2) Peel the carrots and parsnips. Have a grown-up help you cut them into equal size pieces. 3) In a large bowl, mix the carrots and parsnips with olive oil and season with salt and pepper to taste (start with just a little of each). 4) Spread the vegetables evenly in the baking pan in a single layer and roast in the oven, uncovered, stirring and tossing occasionally (ask a grown-up for help) until the vegetables are cooked through, for 20-45 minutes. If using fresh herbs, have a grown-up help you chop them, and then sprinkle the herbs over the top before serving. 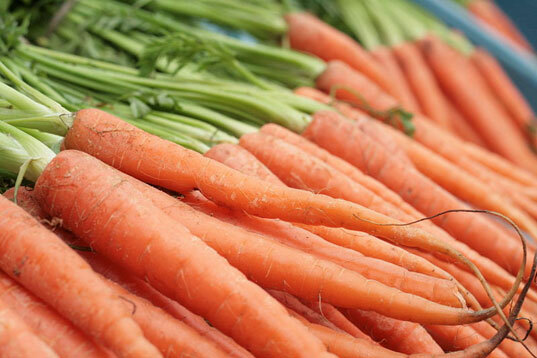 Carrots: Vitamin A is important for vision and strong bones. Vitamin K is important for bone development and blood clotting which helps to heal if you get a cut. Folate helps your body grow and develop. Potassium helps your muscles and nerves work. It also regulates the amount of fluid in your body and helps in energy metabolism which is how you get energy from food. 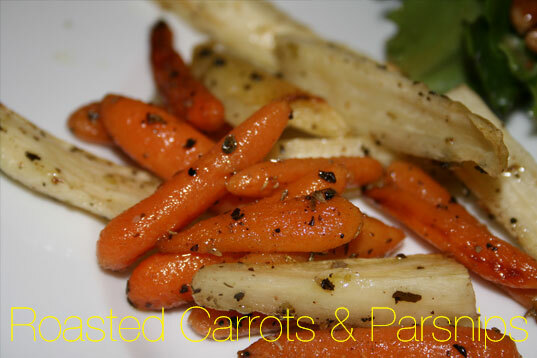 Parsnips: Fiber helps food move along in your digestive system and lowers cholesterol. Vitamin C is an antioxidant which helps fight against cancer. Folate helps your body grow and develop. Olive Oil: Omega-6 Fatty Acid is important for brain and heart function. It also helps your body grow and develop. Vitamin E is an antioxidant which helps fight against cancer. It also helps keep your heart healthy. Carrots and parsnips... that's about all you need to make Sarah Poten's simple and delectable side dish of Roasted Carrots and Parsnips this Thanksgiving. Be sure to review the fun nutritional facts Sarah, Education and Special Projects Coordinator, Greenmarket (CENYC), has included with this recipe after the jump! Carrots are good for you!